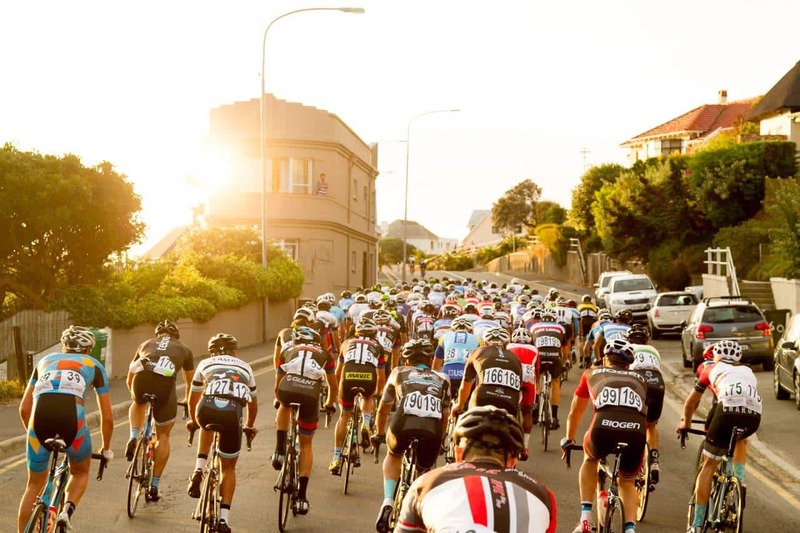 If your idea of fun is to clad yourself in lycra, don cleats and get around on two sets of wheels, then the annual Cape Town Cycle Tour is definitely an event to put into your diary. It’s the largest individually timed cycle race in the world (with approximately 35,000 entrants), and it boasts one of the most picturesque routes in the world, making it a bucket list item for those who like active holidays. Better still, there are various events happening in the week leading up to the big race, making it a great trip for the whole family. There are three main races to take part in, including two other races in the run-up to the Cycle Tour. Junior: This fun ride takes place on the Sunday before the main event, with several races available to a few age groups, from toddlers to energetic 12-year-olds. For safety purposes, entries are limited and parents are encouraged to accompany their kids on foot. Each child will walk away with a medal, certificate, and goodie bag for completing the race and of course there will be plenty of entertainment, food and drink off the track too. Mountain bike challenge: For those that enjoy the thrill of off-road track, the MTB challenge is definitely for you. Races range in distance, and take place the Saturday before the Cycle Tour. Since it’s the weekend before the major road race, taking part in one of the shorter of these races can double up as a taper cycle ahead of the 109km road race. Cape Town Cycle Tour: The 109-kilometre route meanders across the Cape Peninsula, making for some incredible mountain and sea views. But don’t be fooled! While it’s pretty, there are some mean hills to conquer and you’ll also want to mentally prepare yourself for a potential battle with the prevailing summer wind coming from the South East (known as the Cape Doctor) that can be rather strong during March. For more information, visit the website at capetowncycletour.com. 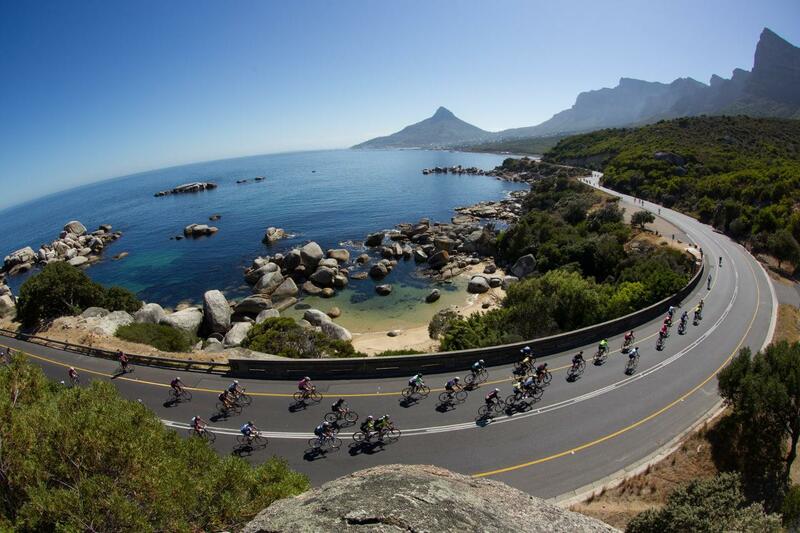 Image courtesy of Cape Town Cycle Tour. Cycle tour expo: You’ll need to pick up your race number and pack, (as well as your bike if you had it shipped down), in the days leading up to the race at the Cycle Tour Expo. The expo is held at the Cape Town Stadium, where you’ll find plenty of parking and hundreds of stalls dedicated to the art of cycling. Make a day of it by bringing along friends and family to do some shopping at the V&A Waterfront, pick up any last minute necessities, as well as enjoy a bite to eat and the infectious pre-race excitement. One final taper ride: It’s always a smart idea to loosen up those muscles ahead of the big day, but not to overdo it. We suggest you either take an easy ride along the coastal road from Mouille Point to Camps Bay or a little beyond and back, but nothing more than about one-and-a-half hours. If you’re looking for a flat ride, try the bike lane that runs from Dolphin Beach, Table View to the Civic Centre in the city itself. The last supper: Make sure you eat something nutritious at an early dinner the night before the race. While pasta isn’t for everyone, it’s an efficient carb and if you’re doing the full 109 kilometres, you’ll certainly need every ounce of energy you can get. In Newlands you’ll find Basilico for great pizza or pasta. If you’re looking for something on the lighter side, try Café Paradiso on Kloof Street that has a range of Italian-inspired dishes and plenty of carb-free options. For a more rustic, family experience, head on over to Burruso’s in Kenilworth (a carb-lover’s heaven), or step across the road to Jake’s on Summerly for a lighter, healthier dinner instead. Take a look at the restaurants in Cape Town that locals love for more dinner ideas! No doubt you’ll have a post-race swagger helped along by a few hours in the saddle, and if the ride went your way (or possibly, even if it didn’t) a thirst for something cold. We recommend you head on over to these great spots for a selection of great drinks and something tasty. If you’re looking for somewhere to while away the afternoon where the kids can run free, then head over to Groot Constantia’s Jonkershuis. The lovely Harvey’s Bar at Winchester Mansions in Seapoint offers a selection of beers, as well as a tasty bar menu too and is close to the cycling action too. For an easy pub lunch and a buzzing atmosphere, nothing beats Mitchell’s Ale House at the V&A Waterfront. Check out the best bars and clubs in Cape Town for more ideas!